“Kong: Skull Island” stars Tom Hiddleston, Samuel L. Jackson, Oscar winner Brie Larson, John Goodman and John C. Reilly. The international ensemble cast also includes Tian Jing, Corey Hawkins, Jason Mitchell, John Ortiz, Thomas Mann, Shea Whigham, Toby Kebbell and Eugene Cordero. Vogt-Roberts directs the film from a screenplay by Max Borenstein, John Gatins, Dan Gilroy and Derek Connolly. “Kong: Skull Island” is produced by Legendary’s Thomas Tull and Jon Jashni with Mary Parent. The executive producers are Eric McLeod and Alex Garcia. 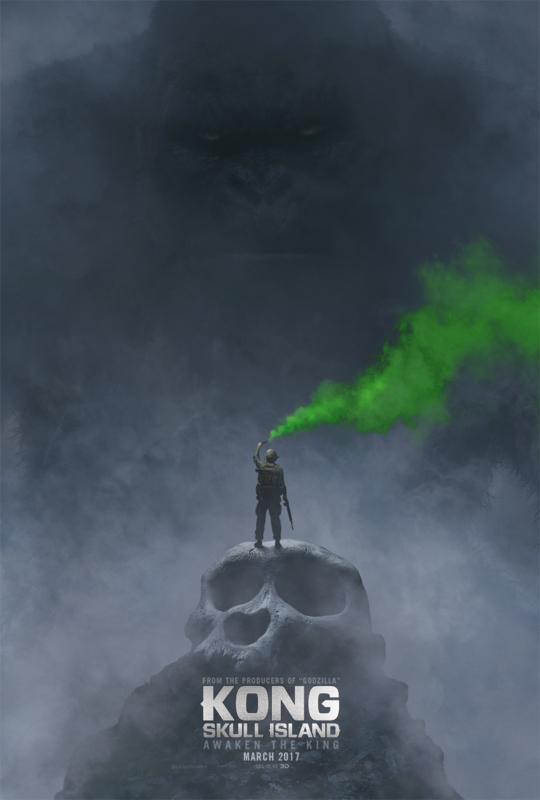 Warner Bros. Pictures and Legendary Pictures Present a Legendary Pictures Production, “Kong: Skull Island.” The film will be released worldwide in 2D, 3D in select theatres, and IMAX March 2017, from Warner Bros. Pictures, a Warner Bros. Entertainment Company.